Mixed emotions loomed over Boston. We love IT, but this is Kyrie we're talking about. 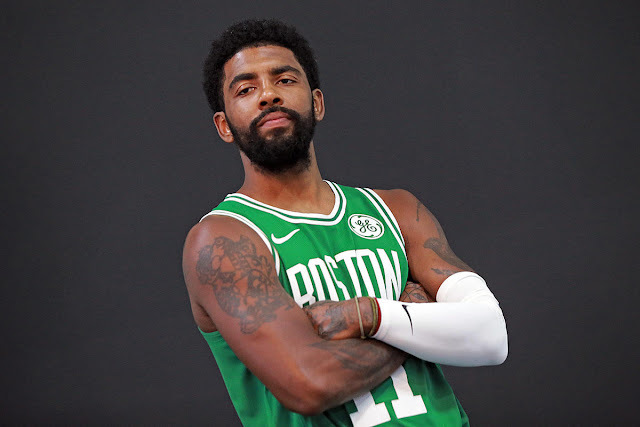 Then, Irving was a Celtic and what ensued was an inevitable highlight reel of Uncle Drew magically maneuvering the rock while donning the green and white. And then, as his knee injury from 2015 reared its ugly head, sidelining Irving for the playoffs, the question of "can the Celtics win it all?" quickly turned to "will Kyrie sign an extension this Summer?" 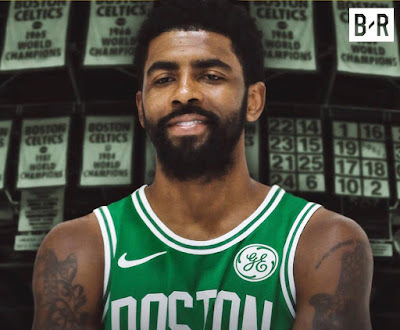 Sure enough, Kyrie didn't sign. As well he shouldn't have. Why should he leave $80M on the table? He shouldn't. Now, in another era, that might've made a headline or two. But in today's insane social media age, Kyrie's non-committal turned into a slew of memes and rumors to the NY Knicks faster than one of his patented crossovers. "He wants to be a Knick - he's always wanted to play with Jimmy Butler," people said. "Kyrie, Jimmy, and Porzingis? Game over." "He never wanted to be in Boston. He's as good as gone," others exclaimed. I never bought it. Kyrie wanted to leave Lebron James and the Cleveland Cavs because he wanted to be his own man, to be the man. He wanted to be in a great situation where he can lead, where he can win. A few months back, Kyrie announced that the reason for his non-committal was because "...contractually, financially, it just doesn't make any sense." Despite that, Twitter wolves foamed at the mouth. "I'm moving completely differently...I've worked on my strength and have a heightened awareness of what my body needs on a day-to-day basis. I spent all summer trying get my left leg to catch up with my right. And it's there. Now when I go to the rim, I'm able to maintain my strength and athleticism, so when I get under there I have all sorts of options. No limitations. I can pick my spots. It's a lot better." Let's hit pause for a second: he was crazy acrobatic on a bad knee. Now, he's freer than he has been in years. Let that sink in. Irving said he's aware that he's been linked to Jimmy Butler in persistent free-agent rumors regarding a mutual desire to play together in New York, but he said he's had no such discussions with Butler. In fact, he said, the last time he talked to Butler at length was when they were both playing with USA Basketball, and the two engaged in a spitballing session along with Durant and Cousins about what the future held for each of them. "And that, Irving laughed, "was in 2016." Trash cans around MSG in New York were inevitably lit after that tid bit of news. Then, during Media Day yesterday, Kyrie really put minds in the 617 area code to rest. Sorry (not sorry), New York. Read it and weep. Ownership, management, coaching, and the roster. Not to mention the fanbase, the history, the lore, the mystique. The Boston Celtics epitomize it all. Considering all the factors, there isn't a better spot for Kyrie than the Celtics - not even the Warriors. He's also fine with joining the likes of Bill Russell, Bob Cousy, Larry Bird, Paul Pierce, and about a dozen others in the rafters one day. Trust us, Kyrie. We're more than fine with it too.